Flattered by the attentions of Nick, the cutest guy in school, seventeen-year-old Grace Warren, captain of the math team, lets down her guard and gets pregnant the night she loses her virginity. Hopeful that Nick will drop to one knee and propose when she breaks the baby news to him, Grace is heartbroken - Nick wants nothing to do with her. Her best friend, Jennifer, thinks she should get an abortion, but Grace is certain that her morally upright parents will insist that she keep the baby. After she comes clean to her super-religious, strait-laced parents, they surprise her by insisting that she terminate the pregnancy to avoid humiliating the family. But when she sees the fetus on the ultrasound, she decides she can't get rid of it. Deciding to save the tiny life growing inside of her, Grace must face the consequences of being that girl - the good girl who got knocked up. This was such a good story. From beginning to end I couldn't put it down. I absolutely loved how real this felt The characters, the situation, everything felt real and made me feel like if I was in the same situation I could totally relate to this girl. I loved how real the main character, Grace, was throughout the book. To get pregnant while in high school is something that a handful of girls go through. And the fact that there is a story like this out there to let girls know that they are not alone, is definitely something that should be read by not just girls who get pregnant in high school, but by all teenage girls. Although there may not be a millionaire neighbor willing to take you in and help you out, the point is that you are never alone. there is always someone out there that's willing to help. The relationship between Grace and Charlie was just too cute. I love how throughout the story their relationship grows and we see that. It doesn't happen over night, but love does happen there. Like most YA love triangle book there is always a good and a bad guy. I think the only thing I didn't like about this story was Nick, but his character was kind of there for you to not like him. Definitely a page turner, you see how much Grace grows as well as the relationships around her. Definitely a book worth checking out. Disclosure: All opinions are my own. 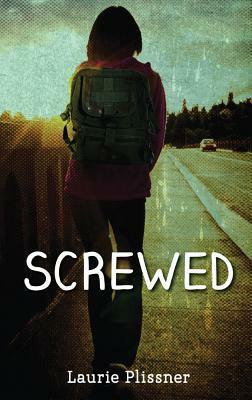 I received Screwed at no cost for the purpose of this review. No other compensation was received.